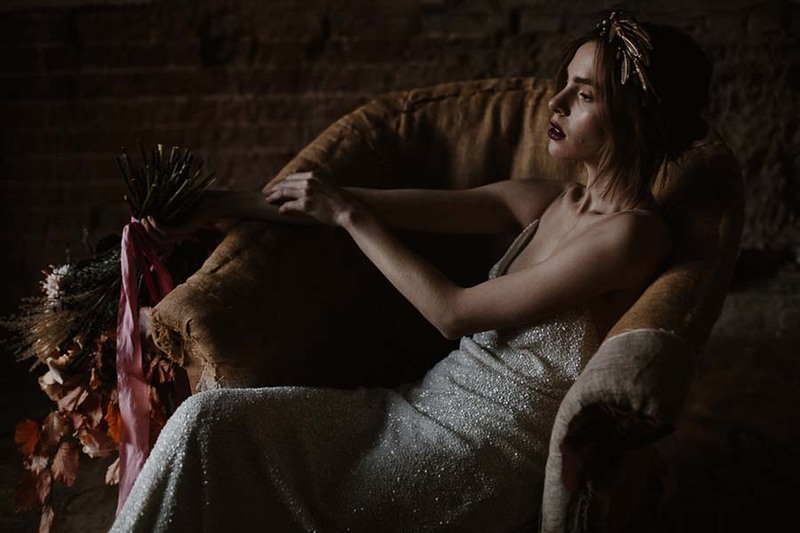 Sophisticated and stylish, this moody and gorgeous shoot put together by Wed & Bash, uses some of our favourite vintage furniture pieces to illustrate a story of faded glamour. Osbourne, our unfinished tub chair with bun feet covered with hessian and worn cotton is a beautifully eclectic piece that we hire purely for photoshoots and display only. 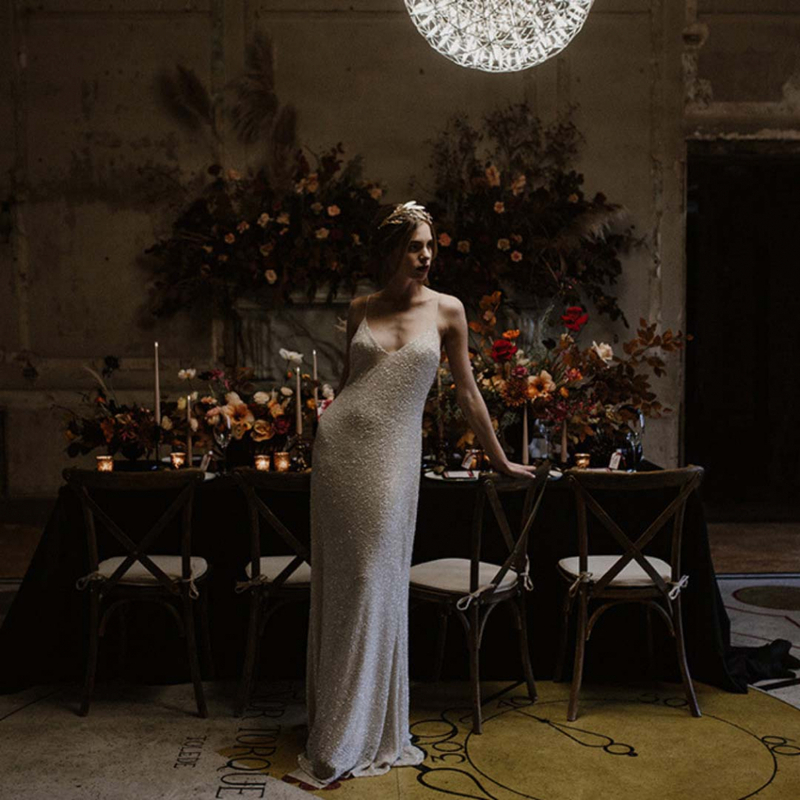 Looking just the part here blending into the stone wall backdrop and natural earthy tones. Paris chairs, forever elegant our solid wood rustic cross back chair. A perfect match with our reworked rustic Gigantes trestle tables or Allegra Refectory Tables used here to full effect for this bewitching dining table scene dressed heavily with bold florals and highlighted against the soft natural grey backdrop. In vintage gold, Nicolette, our nest of three tables, with gently distressed painted design are a delicate addition for decorative or display set off in these images with gorgeous florals. 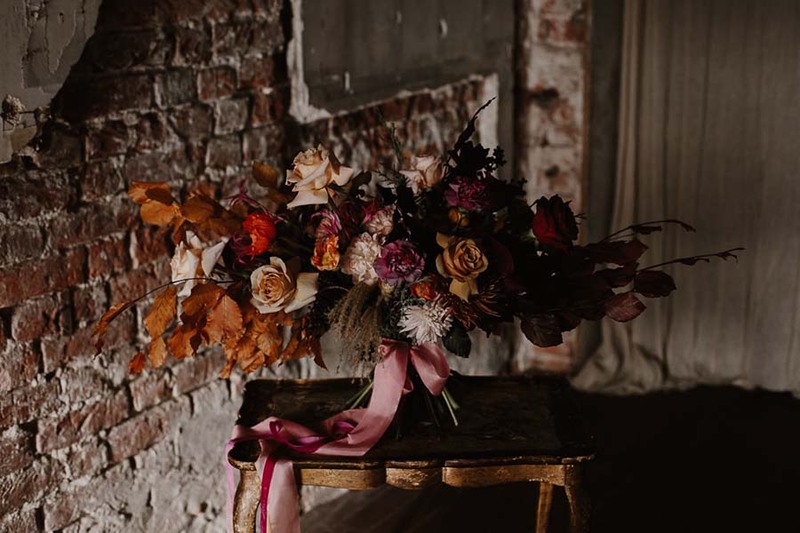 The inspiration for the ‘Deep Florals’ photoshoot came from art history and the style of the Dutch Masters, which you can certainly see here with the image of our Nicolette table, inspired by De Heem’s ‘Vase of Flowers’. 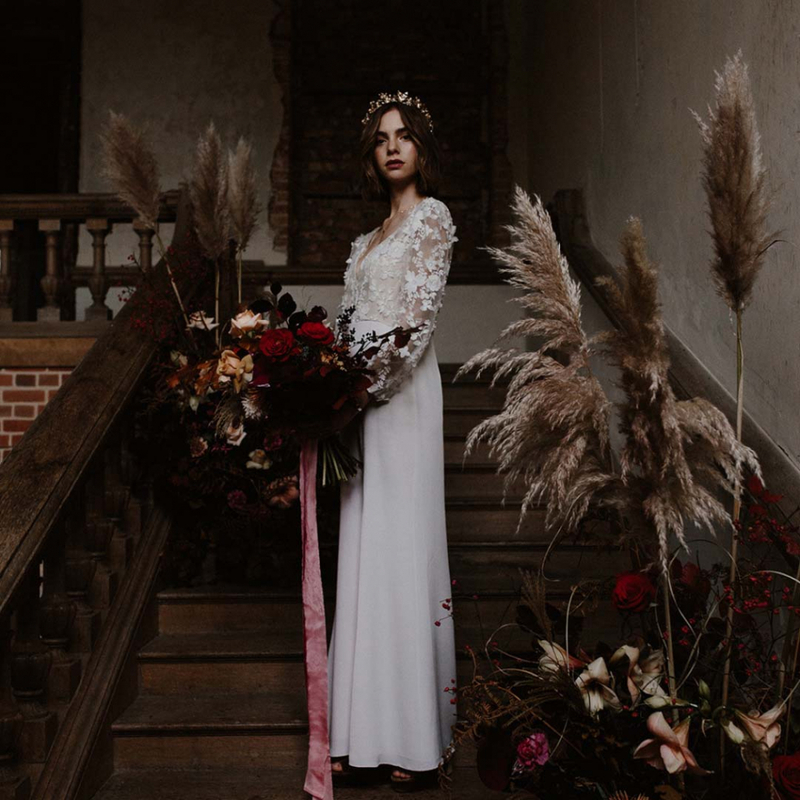 Set in 19th century country house mansion, the striking aesthetic of The Grange lends classical elegance to this photo shoot, and transcends us with it’s historical, antique undertone; yet is also completely of the moment with it’s rich opulent aesthetic that is so current in interiors fashion.